"I'm trying to use Firefox add-ons to download Facebook 1080P MP4 videos for playback on my iPhone. Unfortunately, the video won't be downloaded completely and be downloaded half or less than half. So I'm wondering is there any useful Facebook video downloader for iPhone?" Acting as a polular online social networking service, Facebook had over 1.59 billion monthly active users as of August 2016. And you may be one of them. After login to Facebook, people can freely post status updates, photos or even videos for sharing with others. Needless to say, some funny and cool facebook videos will make you have a strong desire to get Facebook videos download in HD for replaying on iPhone. But, there is no download button on Facebook. Next, we will introduce you top 5 apps to download videos from FaceBook to iPhone XS/XS Max/XR/X/8/7/6. 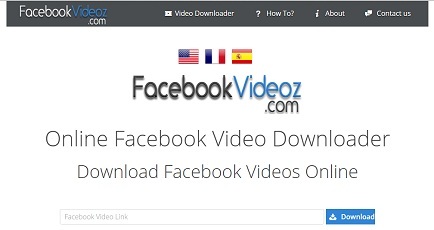 fast download Facebook video in MP4, MP3, FLV, AVI, MOV, MKV or other Facebook supported video formats. 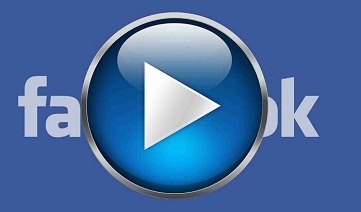 get Facebook video download in 720P/1080P HD, 4K/8K UHD, 360 VR, 3D, etc. compress & convert Facebook videos to MP4, MOV, M4V, etc. smaller-sized file formats for compatible with iPhone XS/XS Max/XR/x/8/7/SE/6S/6/5, iPad, or Android devices. world's fastest conversion speed due to the application of hardware acceleration tech. customize the downloaded Facebook videos for sharing with others by trimming, cliping, adding watermark/srt subtitles, etc. Free download this superfast iPhone Facebook downloader on your Mac (Mojave supported); please download Windows version (Win 10 supported) if necessary. Step 1: Launch this FB video downloader for iphone on your computer. Click "YouTube" button and put the target HD Facebook video URL to the address bar. Then, click the button "analyze". Or you may click the button "paste & analyze" to let the software detect the 4K 3D VR Facebook video automatically. Step 2: Choose the video format, resolution, codec and file size for your desired video. Step 3: Press "Browse" button to select the target output folder. Step 4: Select "Auto add to convert" option and hit "Download Now" button to start free downloading 4K UHD video/music from Facebook. Note: "Auto add to convert" stands for this Facebook video downloading software will skip to the conversion page after finishing the task of Facebook video download. Thus, you just need to choose iPhone device (iPhone XS/XS Max/XR/X/8/7/SE/6s/6s Plus/6s/6/5) as the output profile and start converting. In addition to Facebook video download free, this Facebook video converter also supports downloading HD videos/music to iPhone from 300 + sites covering YouTube, Vimeo, Vevo, Dailymotion, Metacafe, Myspace and more. Some people believe downloading video Facebook on Mac/PC is a complex task because they have to transfer the downloaded Facebook video to iPhone. Therefore, many users begin to figure out a proper App to directly download videos from Facebook to iPhone. Suprisingly, an app named Free Video Downloader Plus Plus can perfectly meet your requirements. 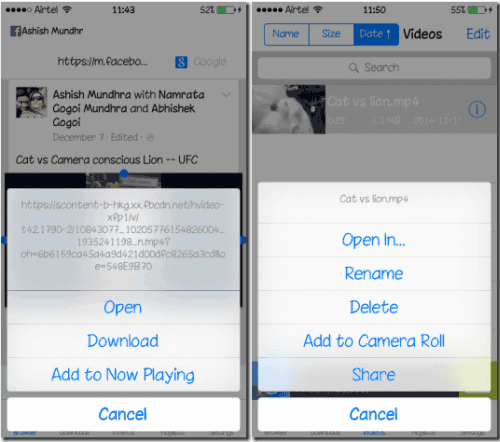 In fact, this free app to download FaceBook videos for iPhone is specially used to download and save Facebook videos to iPhone. Wanna apply it to download Facebook iPhone? Follow the bellow steps. Step 1: Go to the App Store and download Free Video Downloader Plus Plus app on your iPhone XS/XS Max/XR/X/8/7/SE/6S/6/5S. Step 2: Launch it and open your Facebook account. Step 3: Find out the video you desire to download and press on that video. Then a Pop-Up will open with some options (open, download, add to now playing and cancel). Step 4: Hit the download button and save button. Later, the video will be downloaded. Step 5: Select the Add to Camera Roll option to save it to your gallery. Then, the video will be successfully added to your iPhone and you can enjoy it anytime. * edit, merge, cut and add music to your videos. * save videos in Camera Roll. * upload personal video to Facebook for sharing with others. 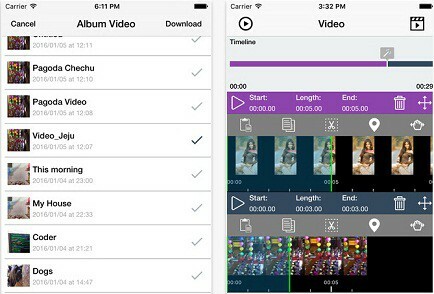 Though this app is regarded as an unexceptionable Facebook video downloader App for iPhone ads free, it also has many negative evaluations like "crashed again and again", "doesn't work", "doesn't allow you to save the video to your iphone XS/XS Max/XR/x/8/7/6, it only downloads to the app", etc. Please look for other App for instead or redownload when you encounter this situation. Obviously, facebookvideoz is an online app that can download Facebook videos without installing any software, add-ons or plugins. This online app provides users two methods to download HD FB videos to computer and both of them are easy to understand and operate. Certainly, there are detailed and simple download guides on facebookvideoz site. It seems like this Facebook video downloader for iPhone XS/XS Max/XR is the simplest one. However, it has its own drawback: cannot choose the desired Facebook video resolution, video format or codec so that the downloaded FB video may be incompatible with iPhone. Under this circumstance, users need to adopt a functional video converter like the aformentioned video converter for Mac. Actually, Freemake Video Downloader is one of the most user-friendly free video downloaders. It is able to download HD video from 10,000 sites (Facebook, Vimeo, Dailymotion, LiveLeak, Flickr, Veoh, etc or even adult sites) in MP4, WebM, 3GP, FLV and more video/audio formats. So, Facebook videos download iPhone is a piece of cake. BTW, Freemake Video Downloader is also a YouTube video downloader for iPhone XS/XS Max/XR that can freely get any YouTube content to download in any format. It is worthy of mentioning that Freemake downloader can save up 500 videos from FaceBook to iPhone at once. 1. Go to Facebook and copy the link of video you want to download. 2. Click "Paste URL" and choose the output video quality. 3. Press "download" button to download Facebook video/audio.